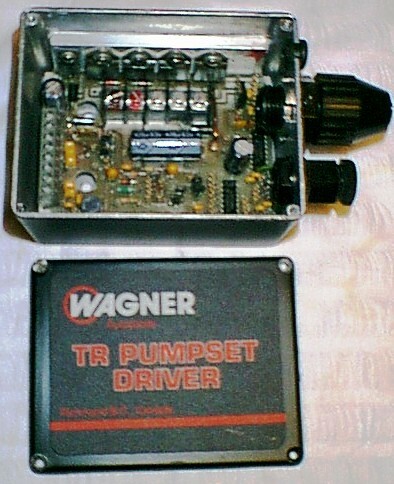 Marine-Plus.Com Wagner TR Motor Solenoid Driver Circuit Board (Like-New Condition, TESTED) For the Boating Community! Wagner "Circuit Board" for Wagner MK4 , SE, SE2 S70, & Micropilot Autopilots! $50.00 'Exchange Credit' AFTER Return Of Defective PCB ... IF No Electrical/Water Damage! This TR Motor Solenoid Driver Circuit Board (PCB) is for Operating Hydraulic Pumpsets & Mechanical Drive Units WITH OR WITHOUT an Autopilot Installed .. Please Review Above Images! Wagners Last 8-Terminal TR Motor Driver Board Manufactured (Updated Final Power Transistors) ... Operational Tests Pass to Factory SPECS! NOTE: 8 Terminal TR Boards CANNOT be Used with MP320 Autopilot! MP320 Boards have 10 Terminals, 2 Extra to Operate DC Compass. New & Used Boxes Available in eStore ... Like Displayed in the Following EXAMPLE Picture. $50.00 ... AFTER Return Of Defective PCB ... IF No Electrical/Water Damage!